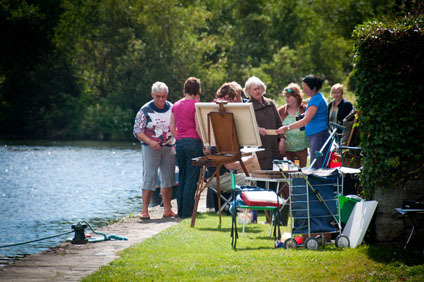 The Barrow is a tranquil and scenic location, which attracts artists and photographers from all over the world. The banks of the river are the perfect spot to stop and take a look at the world around us. 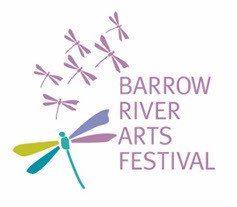 A new arts festival, The Barrow River Arts Festival, aims to become an annual event and offers a weekend packed with classical music, improvisations, theatre, poetry, and visual arts in the beautiful surroundings of the River Barrow. The festival will primarily be located in Dusike Abbey, Graiguenamanagh, Co. Kilkenny and Borris House, Co. Carlow. 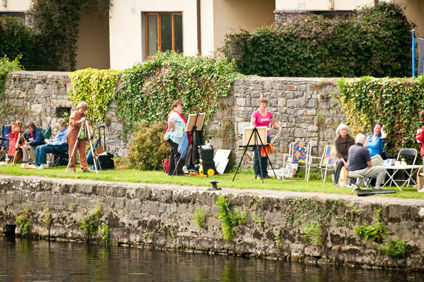 Painting on the banks of the river at Leighlinbridge, Co. Carlow.